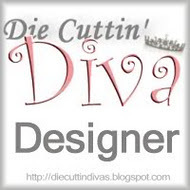 It's time for Die Cuttin' Divas Challenge #113. This week is ANYTHING GOES!! Here's a card I made for my niece who just became a new homeowner! The house is from Kate's ABCs Cricut cartridge. Isn't it so cute?! I just love this Sizzix/Tim Holtz brick wall embossing folder! And of course, Divine Swirls for the sky. It's Anything Goes! You'll have one week to enter your card, layout, or altered project. Remember that you must also use a die-cut somewhere in your project and be sure to link your post back to the DCD blog. We look foward to seeing your projects. Super cute, love the embossing! Very cute home owner card! Love the brick embossing. Goes perfect. Congrats to your niece for her new home! Very SWEET! Love it!Congrats to them. Very pretty card!! Love the embossing! This is such a cute card, perfect for your niece and her new home! It's a Bird, it's a Plane, No it's a STAR!